Sometimes words are not enough so here is a look at our Graco journey there will be some pictures you may recognise from my Pinterest board and some from my previous blog posts, others are totally new! These pictures show just how much fun we've had over the last few weeks and how the Graco Evo Mini will always be remembered in some of our favourite family snaps! Thank you to Graco for this amazing opportunity! 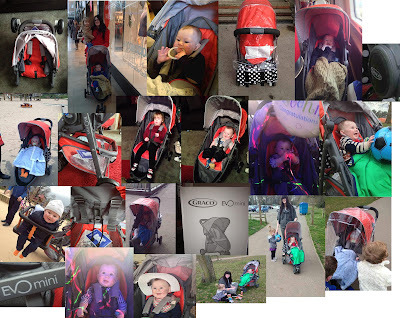 we were sent the pushchair featured for an ongoing review but all views and opinions are my own.